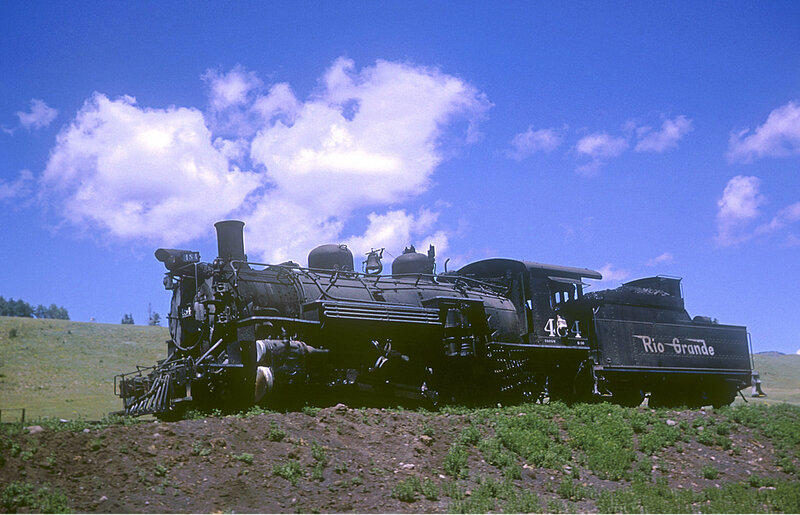 D&RGW 2-8-2 Class K-36 484 between Chama and Cumbres, Colorado on August 20, 1965, Kodachrome by Chuck Zeiler. Number 484 was the lead locomotive on a freight that left Chama and stopped at Cumbres. Number 492 was on the rear (cut in ahead of the caboose) as the helper. Upon arrival at Cumbres, 492 took over as the lead locomotive and continued on to Alamosa. Number 484 wyed and returned light to Chama.